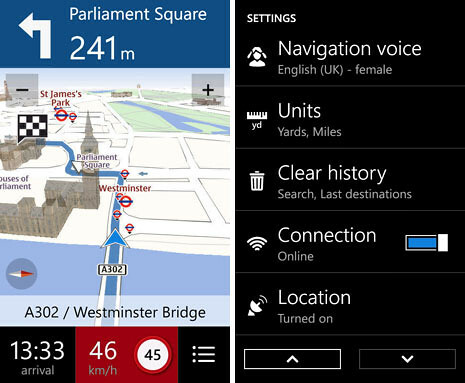 Nokia has just released new updates for both it’s Drive and Maps applications for the Lumia devices on Windows Phone. The new version 1.3 is now available from the Windows Phone Marketplace. The app now adds support for favourites (saved) places and includes the ability to share routes via email or social networks. Saving/favoriting places are shown on the map as a yellow star and a list of favourites can be accessed at any time by tapping the favourites (star) button on the toolbar. Sharing a route via email or social media (Twitter, Facebook) or email will show the estimated journey time and a link is included. The link leads to the maps.nokia.com site with proposed route shown on a map. The new version 2.0 enables full offline functionality, which means can you pre-load maps of your preferred country into the phone, plan your route (and be rerouted) without using a data connection. Other new features include speed alerts, a redesigned navigation dashboard and improved access to previously entered locations. To use offline mode, just enable the option in settings. Then you need to download the preferred map data, which you will be prompted upon first start up of the app. 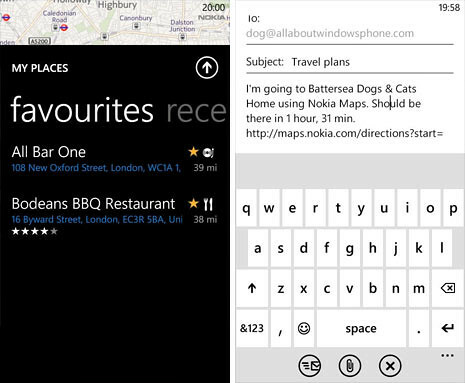 It can also be done at any time in settings > manage maps. I’ve downloaded the MALAYSIA maps and the size was about 100mb. So make sure you are on a wifi connection in order to do this. 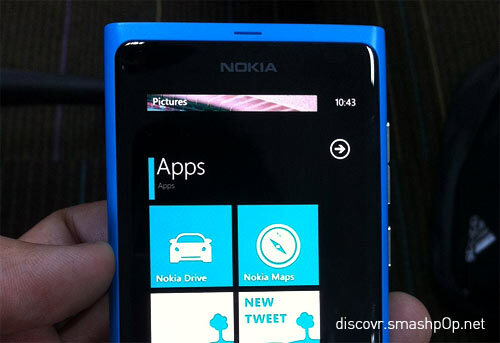 You can download/update these 2 apps from the Windows Phone Marketplace.